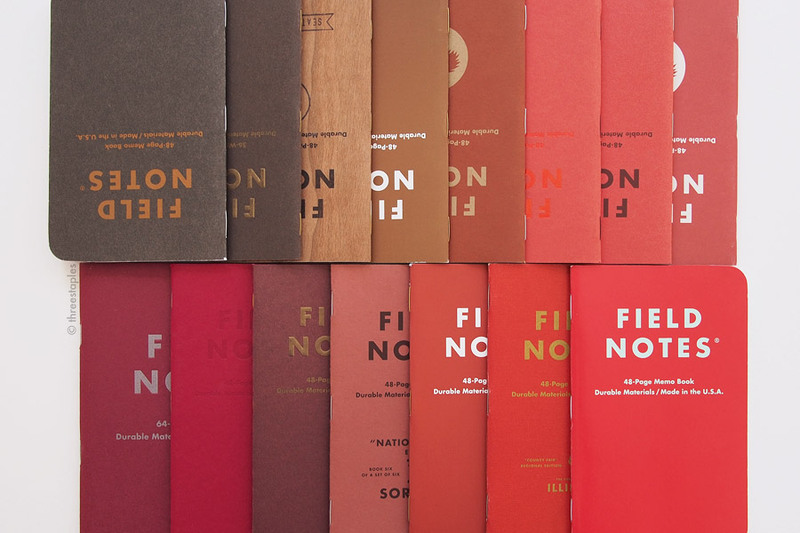 I'm continuing on my journey to write about every Field Notes Colors edition that's been released so far that are in my possession. This time, I'm reaching back to Arts & Sciences, which was released about two years ago in 2014. 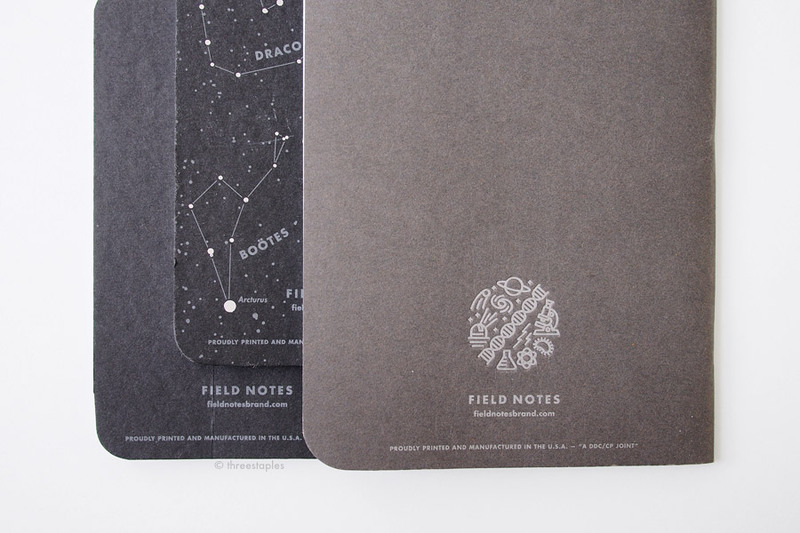 Arts & Sciences is the summer 2014 edition of Field Notes COLORS, the 23rd in the series. It was quite a controversial edition, as it was the first one to come in the larger 4.75" x 7.5" size (and still is the only one so far), and I think it’s safe to say that it divided the Field Notes fans. 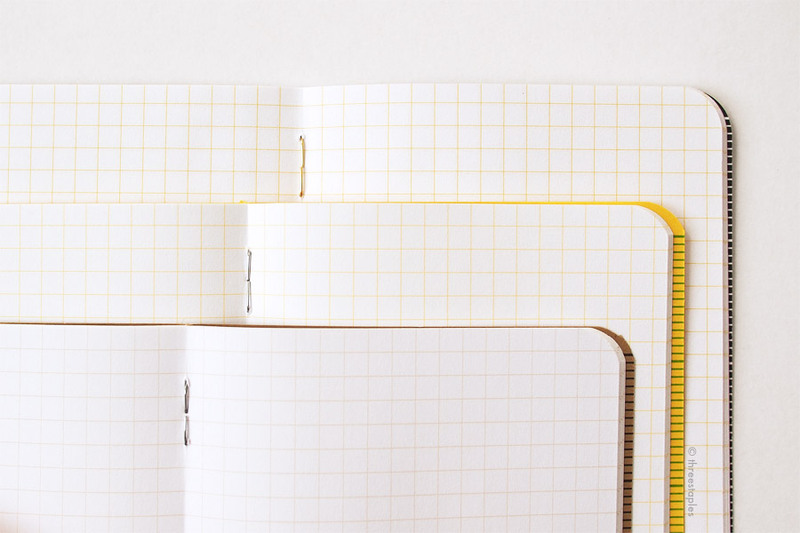 Some people loved it and immediately requested that the new larger size be released as part of the regular line-up (still hasn’t happened); some people disapproved the new size and lamented that it doesn’t store neatly with all the other Field Notes. I fall in the “don’t like” camp for various reasons that I’ll elaborate later but from a purely visual standpoint, Arts & Sciences is a beautiful edition. I love the dual theme in this 2-pack edition, with one notebook representing the Arts, the other Sciences. I love the colors they chose for the covers, as well as the custom icons that adorn the back of each notebook (and the extra 1.5” buttons that came with subscriptions). Clearly, there are a lot of details and effort that went into this edition, so I’ll get into those first, and list some of the notable “firsts”, before I attempt to explain why A&S places near the bottom of my Field Notes ranking. Each pack of Arts & Sciences came with 2 different notebooks: the Arts notebook in wine color and the the Sciences notebook in slate gray. I really love these colors, especially the wine color as it feels very collegiate to me. The thick, matte covers are printed in metallic “Antique Silver” ink, inside and outside, with debossed logotype on the front. A great choice for the dark cover stocks, in my opinion. What I really love about A&S though are the circular icons that were specifically designed for this edition by Aaron Draplin; they’re printed (and debossed) on the back of each book. The Arts icon features tools for creative endeavors, e.g. a paint tube, an ink bottle, and a pencil sharpener. In the Sciences icon, you see a microscope, Saturn, and an Erlenmeyer flask, among other science-y symbols. I can nerd out (or would like to think I can) with both artsy/crafty and geeky things, so details like these are right up my alley. Delicious debossing shown on the reverse side of the front cover of Sciences (Mohawk Loop 110#C “Urban Gray” Antique Vellum). These matching 1.5" buttons were for subscribers only. Unfortunately, my buttons arrived a little crushed in the envelope. Item number FNC-23a for the Arts button and FNC-23b for the Sciences button. The theme of Arts & Sciences doesn’t stop there though. Of course Field Notes went the extra mile and filled the inside covers with a variety of related tidbits & diagrams in tiny text (all written by Bryan Bedell and Steve Delahoyde of Field Notes, according to the 2014 recap video). The Arts book has sections on: the poetic meter, types of artist’s brushes, common proofreading marks, the Story Arc, the Golden Section and the “Rule of Thirds”, various art -ism terms, and great American novels, as well as a list of "pretty good” American novels. The grey Sciences book on the other hand has sections for: a mnemonic for the biological classification, Newton's 3 laws of motion, periodic table of elements, the Pythagorean theorem, the scientific method, and the Electromagnetic spectrum, and a list of untrue science facts. Phew! No wonder they took out “Practical Applications”! The Arts book cover is Mohawk Loop 110#C in “Chili” Antique Vellum. One hilarious thing about the Sciences book is that on the back cover, there's a small ad for a mathematical challenge: the Riemann Hypothesis. If you “simply” solve it and submit the proof to Field Notes, you get a lofty award of one free Field Notes Clic pen. Ha! I had no idea what the Riemann Hypothesis was until I looked it up (and watched a Numberphile video) but apparently, it’s a well-known, yet-to-be-proven problem in mathematics. I love learning trivia like this. Well, folks, get to it! Another great detail in the Sciences book: the ruler on the back is in metric unit instead of the usual inches. That’s a “first” in Colors. Smart! The ruler in the Sciences book is in metric unit, and the Arts book has the usual ruler in inches. Another detail not to be missed: the belly band illustrates the two types of notebooks in A&S. Arts & Sciences is the first Colors edition to come in a 2-pack, instead of the usual 3-pack. It was priced the same at $9.95/pack though, which is understandable since the notebooks in A&S are bigger. It is also the first time we see Mohawk paper used for the covers. Another “first” in Colors that drives the arts and sciences theme home: the right-hand pages, or “recto” sides, in the Arts book are 1/4" ruled, and in the gray Science book, they are printed with “Engineer’s Graph.” But the left-hand pages, or “verso” sides, in both books are left blank. Also, I believe it’s the first time a Colors edition is a pack of different types of notebooks (innards). I don’t mind the Arts book, since the ruling is the familiar 1/4" (same as America the Beautiful and Shelterwood). But the Engineer’s Graph is a bit harder to use. The smallest subdivisons (1/10") are too small and the next subdivisions (1/2") are too wide for my regular writing. Obviously, the Engineer’s Grid wasn’t designed for that but more for graphing and technical diagrams and sketches. But since I don’t need to do any graphing anymore, I find the Sciences book a bit unfortunate for my use case. Cool and geeky detail though. By the way, A&S is not the first edition to forgo “Practical Applications” on the back cover; Night Sky (summer 2013) did it first. It is also not the first with debossing on the covers; Grass Stain Green was (by letterpress) from summer 2009. As for the 1.5" buttons that came as extras for subscribers? Traveling Salesman (Fall 2012) also came with a matching button that is 1.5". Another interesting tidbit: A&S is the last quarterly edition with the old, plain “Field Notes” logotype on the covers. All subsequent Field Notes feature the newly designed logotype that incorporates the ® symbol. Size comparison: Arts & Sciences (back) and Pitch Black (front). No, I didn’t forget about the major “first” in Arts & Sciences: the larger format. 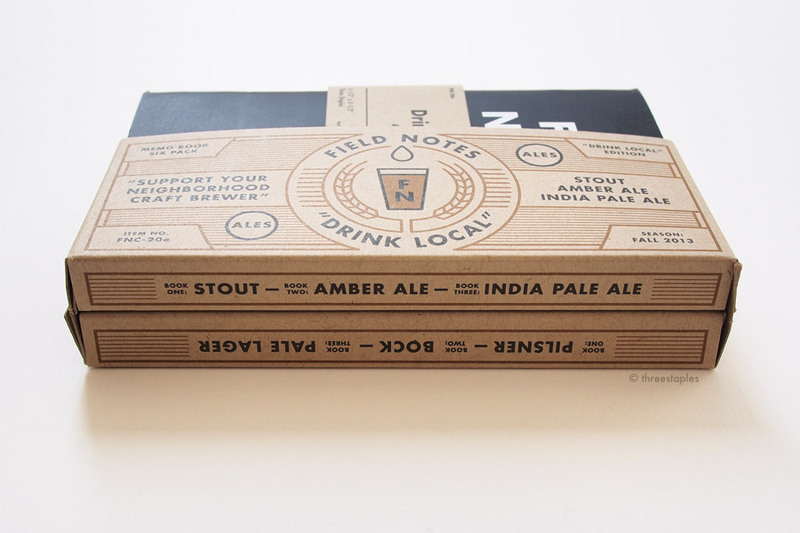 It’s the first time Field Notes made it, from the usual 3.5" x 5.5" to 4.75" x 7.5". It went from a pocket memo book size to a “note book” size. I’ll admit I was disappointed by change. Not overly so that I asked for an exchange (I was already subscribed); I was curious to try their take on the larger format after all. For the record, I am not against Field Notes trying new things and exercising their creativity. From what I can gather, many fans had been asking for bigger Field Notes, so maybe A&S was their way of gauging the demand. Totally understandable but I strongly believe that when you change the size of a notebook (I’m using the term broadly here), you’re veering into an entirely different product category, and I was upset that they introduced what is essentially a different product into a subscription service where expectations play a big role. It’s like, say, subscribing to Palomino Blackwing Volumes and one season they give you mechanical pencils instead. After 22 seasons of pocket memo books in one size, you expect the next edition to be the same, just varied in “colors” such as paper type and color, printing method, etc. Not size. The way I see it, that’s why they started calling the subscription COLORS in the first place. Sure, storing all my Field Notes neatly together got a little more challenging with A&S but I wasn’t so upset about that, as much as I became doubtful about the direction Colors was taking. Thankfully, Field Notes went right back to the original format after A&S, and the next 7 quarterly editions have all been the same size. But these days, with Field Notes putting less marketing emphasis on the term “Colors” (my impression) and with the release of Byline, which is undoubtedly a different product, I feel they’re chipping away at the good balance between predictability and surprises that existed in the Colors subscription before. Is the subscription for any limited editions or special projects Field Notes make from now, regardless of the type of product? (Flight Log isn’t part of Colors. Neither is the 56-week planner. Why not, when Byline is?) Maybe Field Notes is just figuring it out as they go! That’s entirely possible. There are only so many projects they can do per year. But I do think in return for Field Notes getting some predictability in their revenue from subscriptions, subscribers should get some predictability as well. 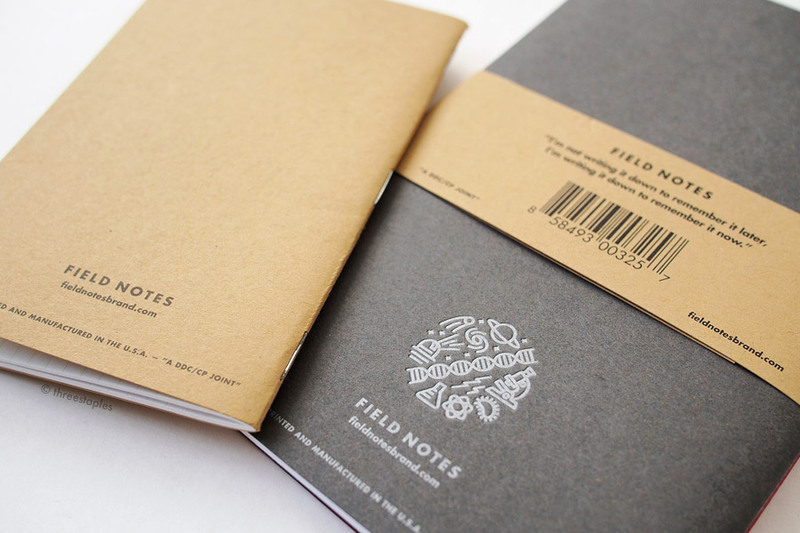 I’m a huge supporter of Field Notes but even I can’t blindly accept and buy everything that is Field Notes branded. A shocker, I know. Being a notebook nerd and picky about these sorts of things, I’m sure I’m in the minority. Ultimately, I would like to be confident in my decisions to subscribe (and renew), and that will depend on how much they deviate from the original format, and how often. Size comparison: Arts & Sciences (left) and Pitch Black (right). Subscription discussion aside, why was I disappointed with Arts & Sciences? Because of its size? Not necessarily. 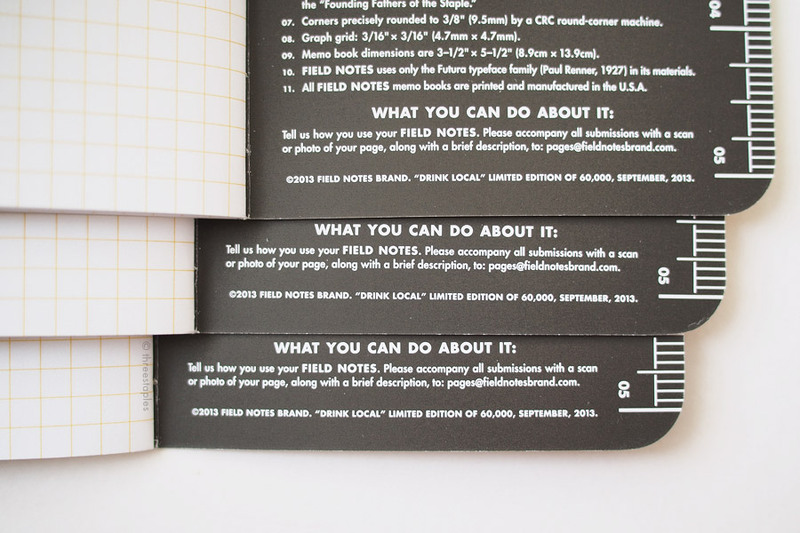 Field Notes wanted to make bigger, “Note Book” sized memo books, fine. But that requires more than enlarging the existing pocket-size format. (I’m not saying they literally just scaled up to make A&S. I’m sure they tweaked a lot of the details but, overall, it’s hard to argue it wasn’t designed to look like a bigger version of the original book. Even the corners are rounded at a larger radius.) I fell in love with original Field Notes because it’s a well-balanced combination of simple materials, binding, and design. In essence, it’s a stack of paper folded in half and then bound by three staples. Nothing fancy. But that combination works well for that size, as a casual, portable memo book. But when you scale that up, and retain the same looks, that combination can feel awkward, creating a weird tension between what the new size demands and the spirit of the old size. Size of a notebook dictates its usage, and Arts & Sciences not being a memo book anymore demands a bit more heft in my opinion. And it does have more pages, 64 pages instead of 48 pages. But the extra amount doesn’t feel enough to successfully differentiate A&S as a new type of notebook. Actually, when I hold and flip through A&S, I can’t help but feel like it doesn’t know what kind of notebook it wants to be. It is an unusual size (narrower and longer than B6 for example), so there’s no familiarity there that can inform me how best to use it. It’s not substantial enough to be a class notebook. 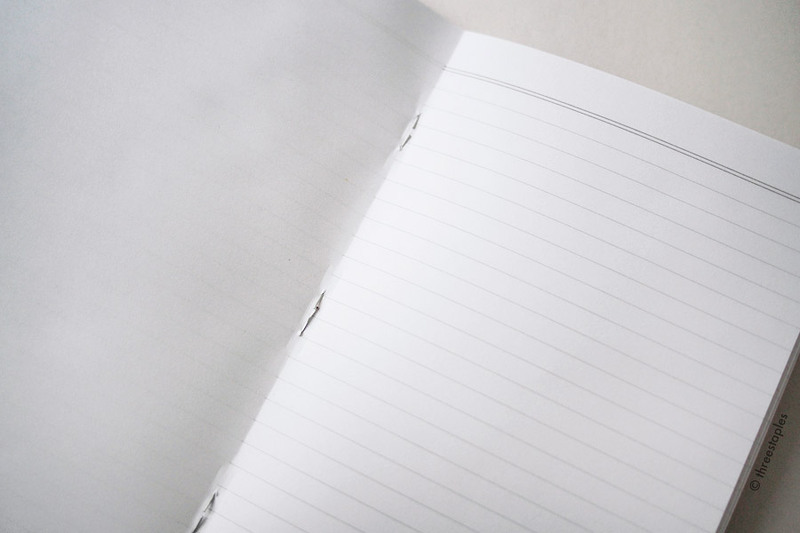 It doesn’t flip or fold over easily to be used on the go for quick notes either. As for the materials, the cover isn’t stiff enough to provide solid writing surface when not at a desk, but it’s not bendable enough either, to be handled comfortably in my hands. (This is why the large-format Starbucks edition with the pliable birch wood veneer cover feels far superior in my opinion.) Staples almost feel like an inadequate binding choice for this format, too. I’m sure it’s the result of many factors like spacing between staples, paper weight, etc, but often times pages in A&S can’t be turned completely flat and neatly because of the tension from the staples, even when they are placed well-centered down the spine. It actually makes the paper feel thinner and the whole notebook cheaper. We’ve seen similar combination of materials and their effects in the original format, too, but they feel amplified and inappropriate in the larger format. I really wonder how A&S would have turned out if it had more, thicker pages with thread-binding instead. “Engineer's Graph” in the Sciences book. Notice how the paper dimples near the spine. 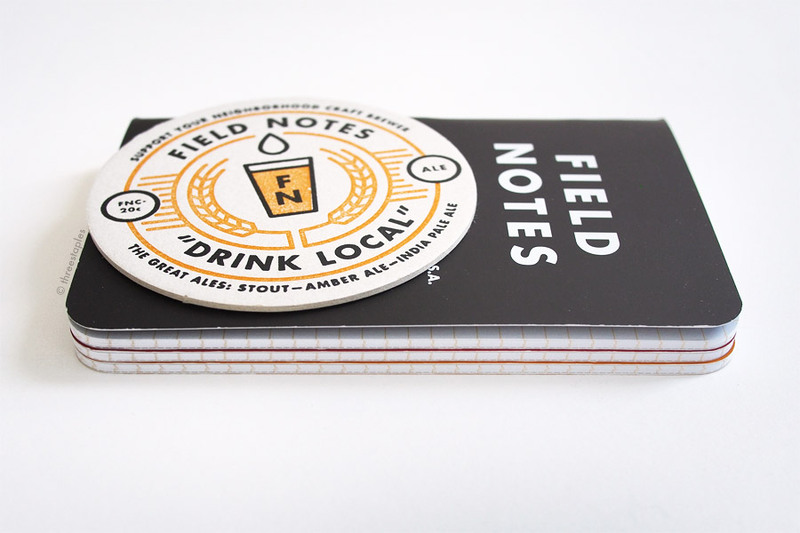 Like I mentioned, I don’t have anything against the bigger format but the way Field Notes executed it in Arts & Sciences with an awkward combination of details was a disappointment to me. Maybe it’s because they’ve done the small notebooks so well that I’m looking at their new format with more critical eyes. I would love to love it and use it daily. I really do. But honestly, there are better notebooks in the A&S’s size range that are available that I can depend on for a better writing experience. Thanks for reading my opinions so far and staying all the way to the end. Field Notes started listing all the specs for each edition on their official website, so I won’t list the ones for Arts & Sciences here as I usually do, not when I've made the post this long. I do urge you to go watch the series of videos Field Notes made as teaser films for Arts & Sciences here, if you haven’t. I still love you, Field Notes! Despite my frustrations, I tried putting both books in A&S to some use, as reference books. Here the Sciences book is used for cataloging my various rubber stamps that I bought or hand-made. I’m using the Arts book with ruled lines for cataloging my various gel pens and fountain pen inks for color comparison reasons. The innards are the usual Finch Paper 50#T, which means fountain pens and rubber stamp inks can bleed through. For occasional use like these, A&S is not so bad. Original kraft memo book (left), next to the kraft belly band of Arts & Sciences. Debossing also shown on the back cover. 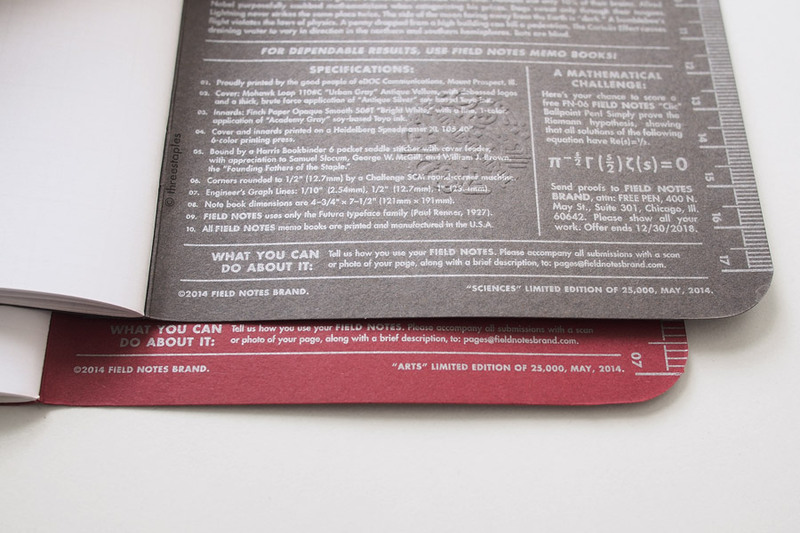 The edition size of 25,000 packs was the same as the previous edition, Shelterwood (Spring 2014). Innards comparison with the original kraft on the left. Arts & Sciences (two on the right) are printed in light “Academy Gray” ink, while the original is in “Double Knee Duck Canvas” light brown ink. Matching 1.5" buttons. Wish they made stickers with these awesome logos! Back sides, compared with 1" button in the middle. Quick color comparison, from left: County Fair, Red Blooded, “Arts” from Arts & Sciences, Ambition, and “Sorghum” from National Crop. Quick gray color comparison, from left: Pitch Black, Night Sky, and “Sciences” from Arts & Sciences.